We are one of the noted suppliers of Metal Walking Sticks that are designed in compliance with international quality standards. These are made with high quality raw material and are compact in size. Our range is well known for their strong, unbendable and unbreakable properties. 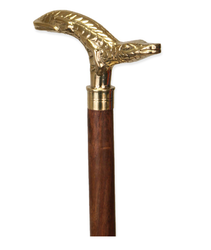 We also deals in Vissco Branded metal walking sticks. We offer Walking Sticks Wooden and Metal to our clients, which is made using quality raw materials, procured from reliable vendors in the market. These carved wooden walking sticks are known for their innovative designs and solid structure. 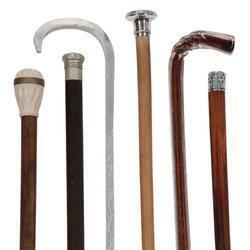 We also provide our clients with two types of sticks namely wooden walking stick and metal walking stick. In metal Walking Stick we offer Vissco Brand sticks, which is more comfortable and durable. Looking for Walking Sticks ?